Below are some of the reflections from the last round of PDC meetings. Cate has shared how knowledge organisers are being used in PE and Karen has shared how the history department have used AQA’s question analysis to inform the planning teaching of specific exam questions. Within Physical Education have been reviewing, amending and sharing good practice with our use of knowledge organisers and low stakes testing. 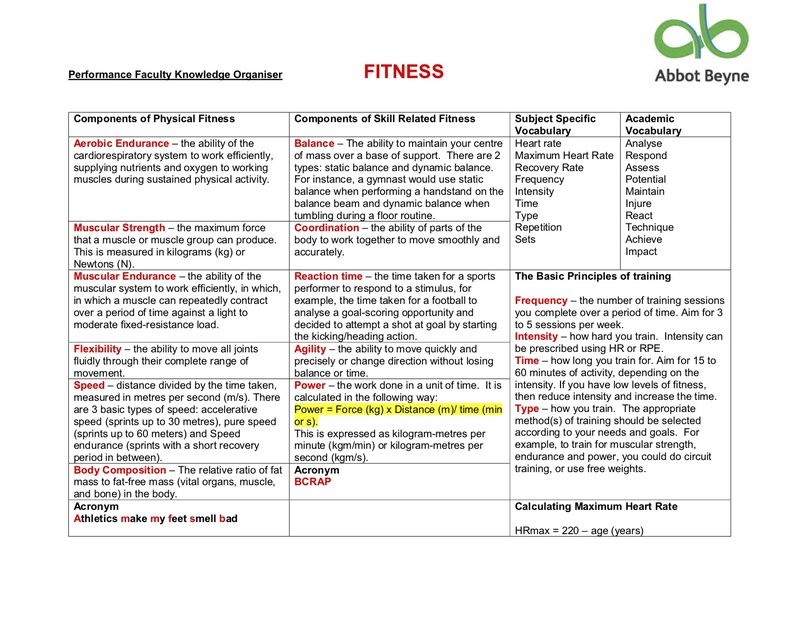 Within KS3 all groups have been given amended sports specific knowledge organisers and are regularly tested on the sports specific and academic vocabulary as well as their knowledge of techniques, rules and tactics. As a department we have seen an increase in the sports specific terminology being used by the students and their low stakes testing has improved dramatically. We are looking to continue this work in Autumn 2. During our PDC meeting we have focused on academic excellence in the GCSE exam. We started by identifying the exam questions which were not answered as well as others in the summer exam. The write an account question was asked on 2 papers; it is a new style question to teachers and there had been a lack of clarity what to expect from this from the exam board. We identified different ways that this could be taught to the students and started with a worsksheet style flow diagram. This would get students to see that events have causes and consequences and this is what the question requires. 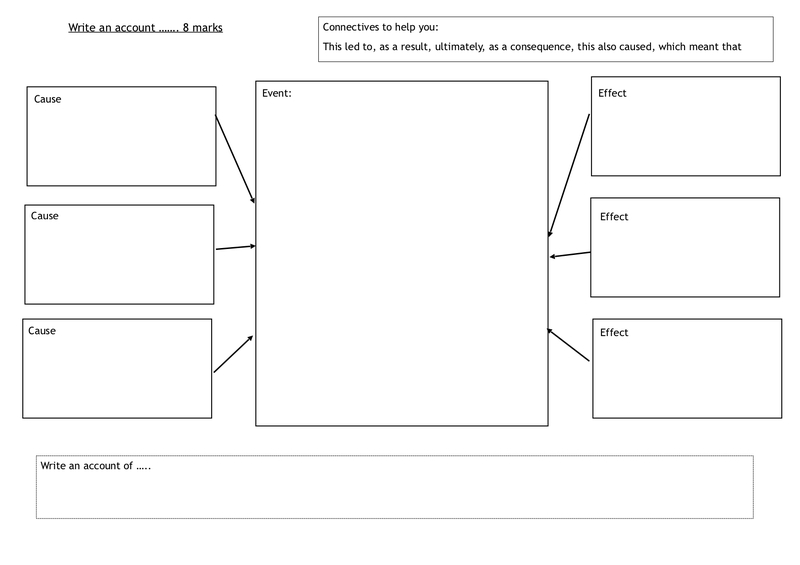 We also included connectives to help students explain the causes and consequences of an event. We also felt that to start the students off with their work they could use a structure strip to ensure they followed the pattern of writing about the causes and consequences.